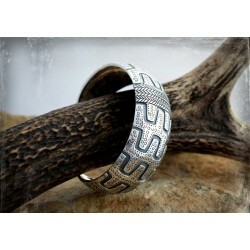 Silver There are 12 products. 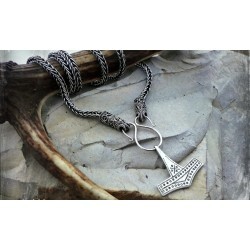 Valknut - viking pendant. The Valknut (pronounced “VAL-knoot”) is one of the most widely-discussed yet enigmatic of all of the Norse mythological symbols. 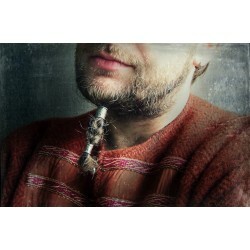 They are finally back - our famous stamped beard rings! 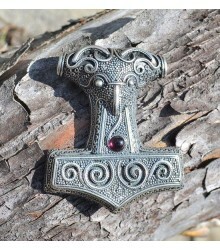 Faithful replica of archaeological find from Gotland, Sweden, Viking period. 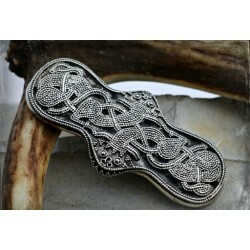 Beautiful, totally unique and extraordinary earrings : made of buffalo's black horn, in lacy-like sterling silver setting. 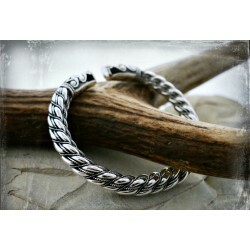 Faithful replica of find from Gotland, Viking period.Made of fine silver (999). 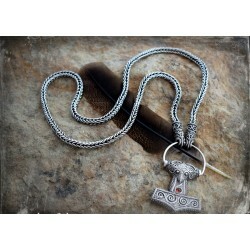 Impressive and solid, handmaded silver Viking chain with filigree raven terminals.